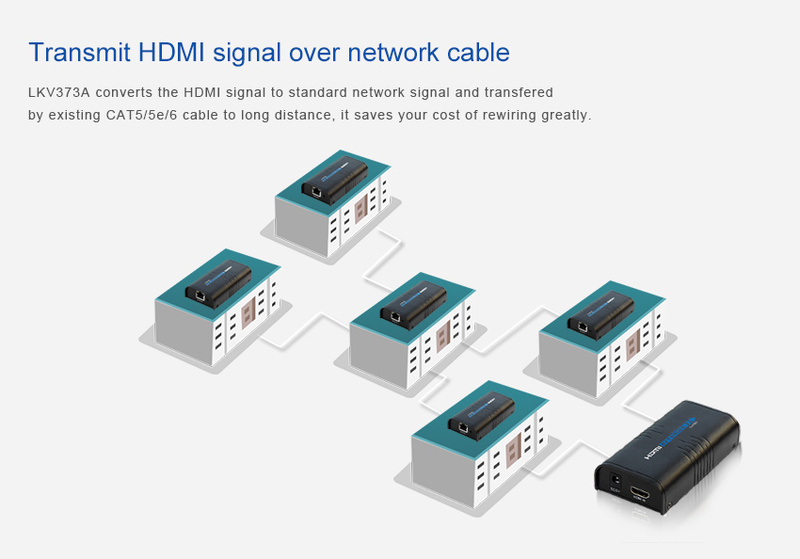 Transmit HDMI signal over network cable–LKV373 converts the HDMI signal to standard network signal and transfered by existing CAT5/5e/ cable to long distance,it saves your cost of rewiring greatly. 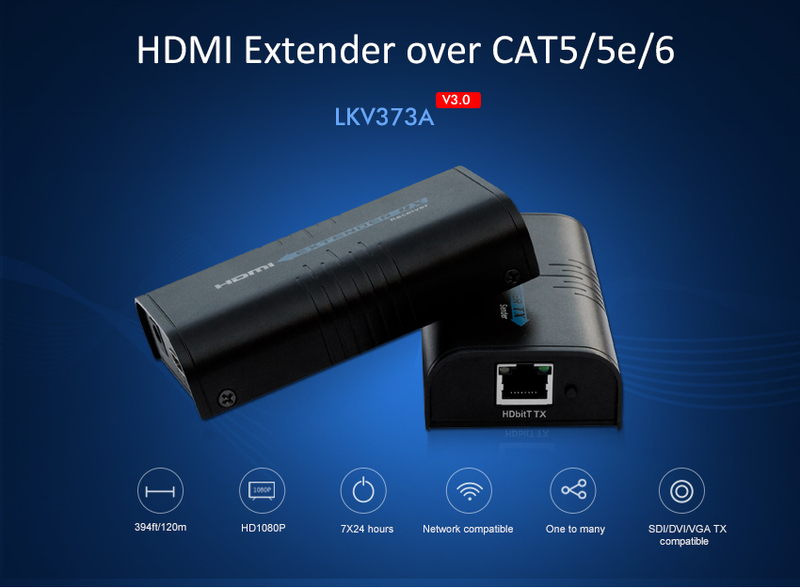 LKV373 takes the advantages of the latest transmission technology to xetend your HDMI video with the resolution up to 1080P@60Hz up to 120m/394ft over single network cable. 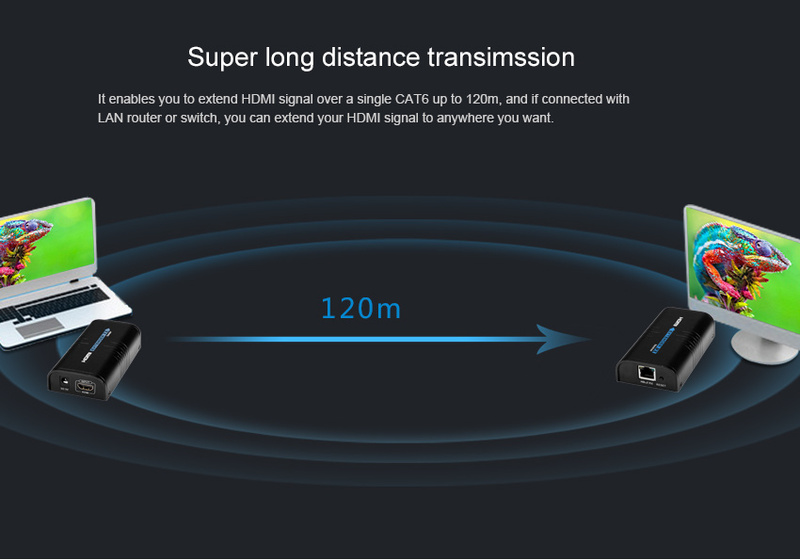 SUPER LONG DISTANCE TRANSMISSION–It enables you to extend HDMI signal over a single CAT6 up to 120m/390ft, and if connected with LAN router or switch, you can extend your HDMI signal to anywhere you want. 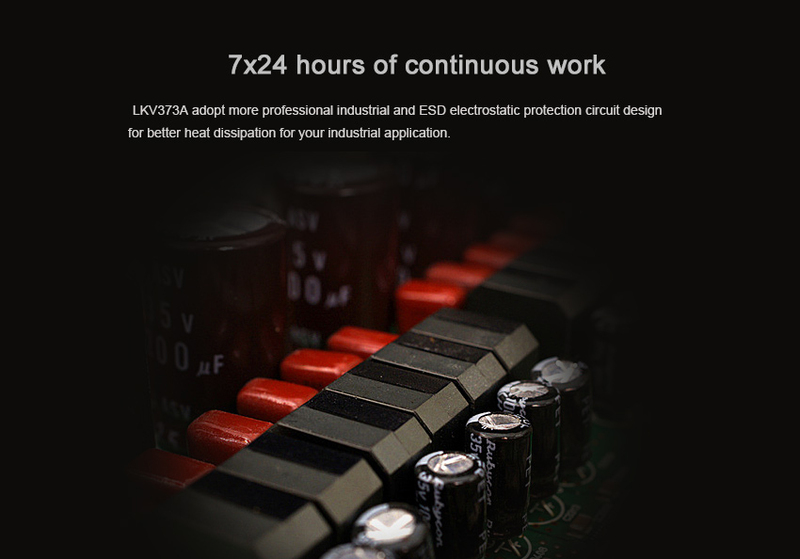 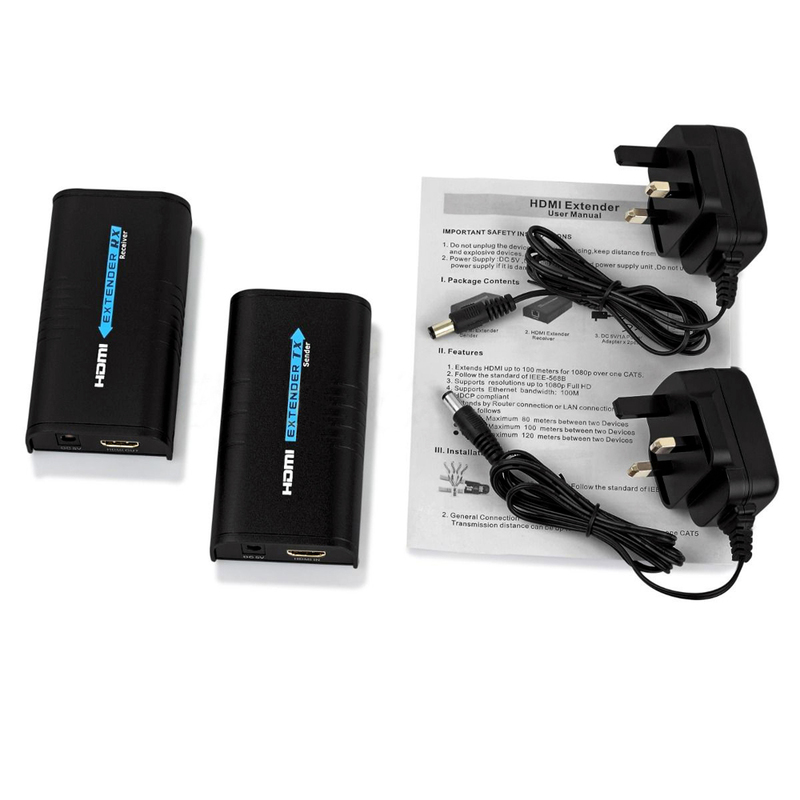 STRONGER COMPATIBLITY–It has better compatibility with HDMI source devices, display devices and net work cables. 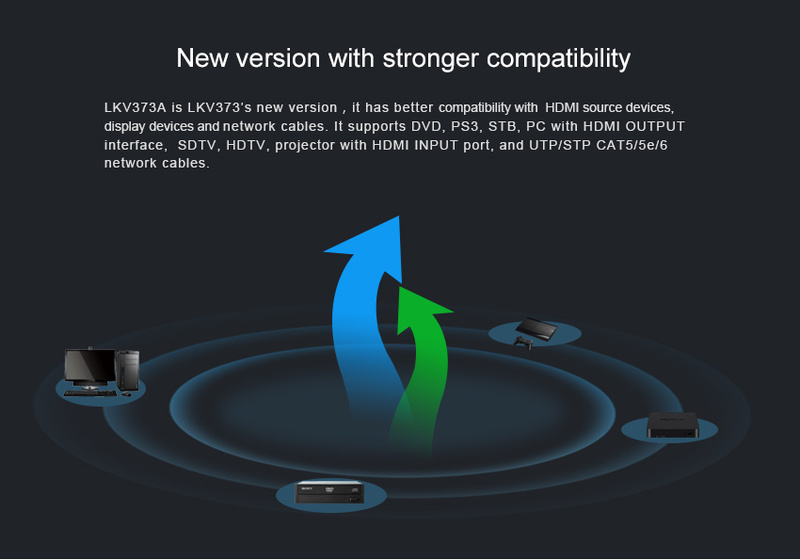 It supports DVD, PS3,STB,PC with HDMI output interface,SDTV, projector with HDMI input port, and UTP/STP CAT5/5e/ network cables. 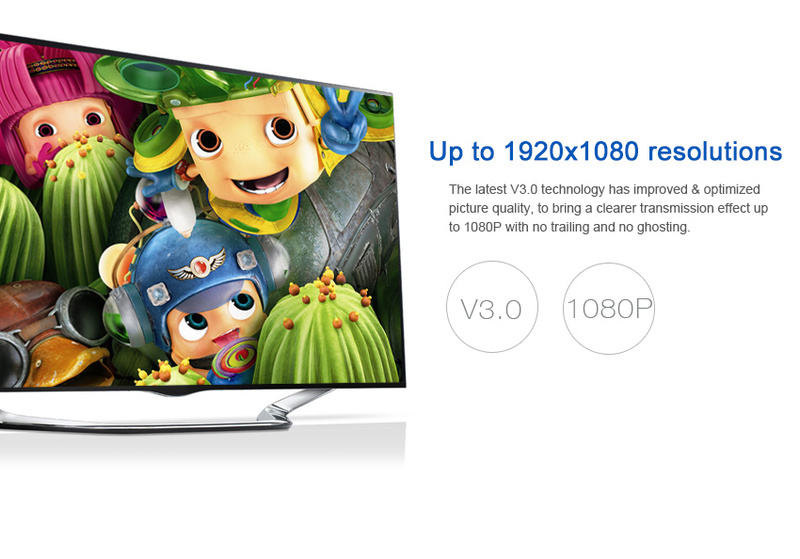 UP TO 1920*1080 RESOLUTIONS–The latest V3.0 technology has improved & optimized picture quality, to bring a clearer transmission effect up to 1080 without trailing and ghosting. 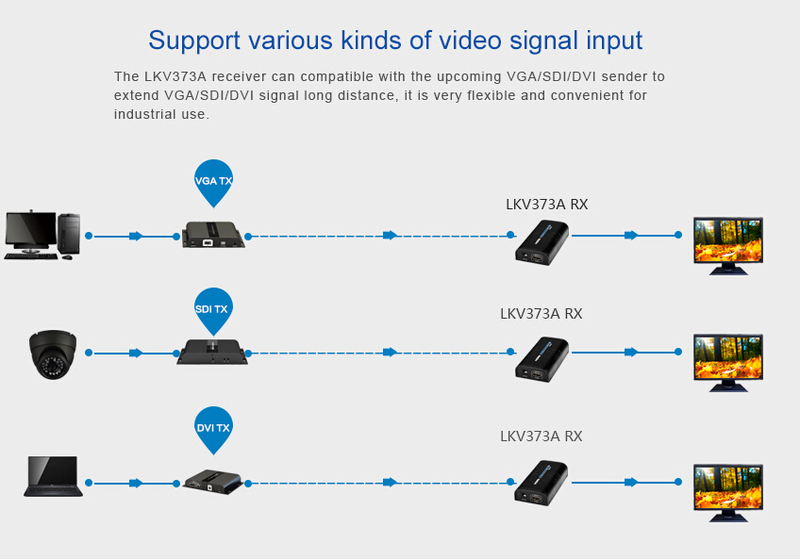 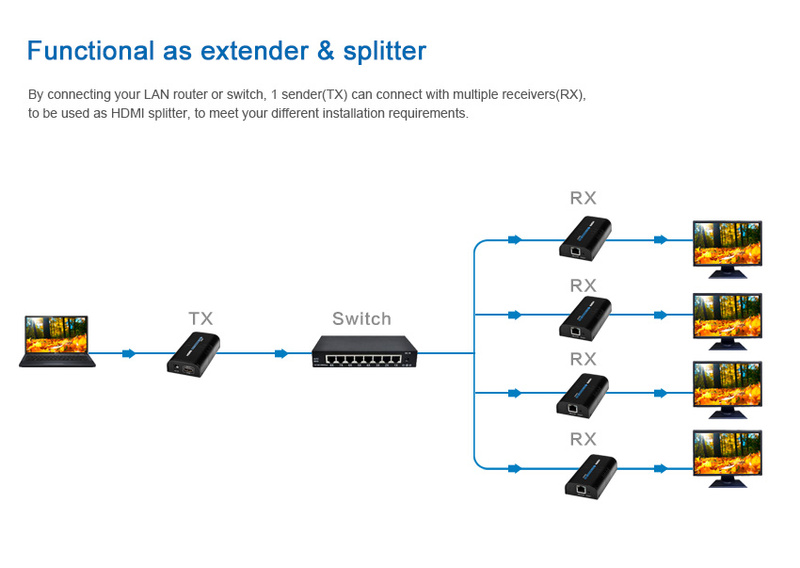 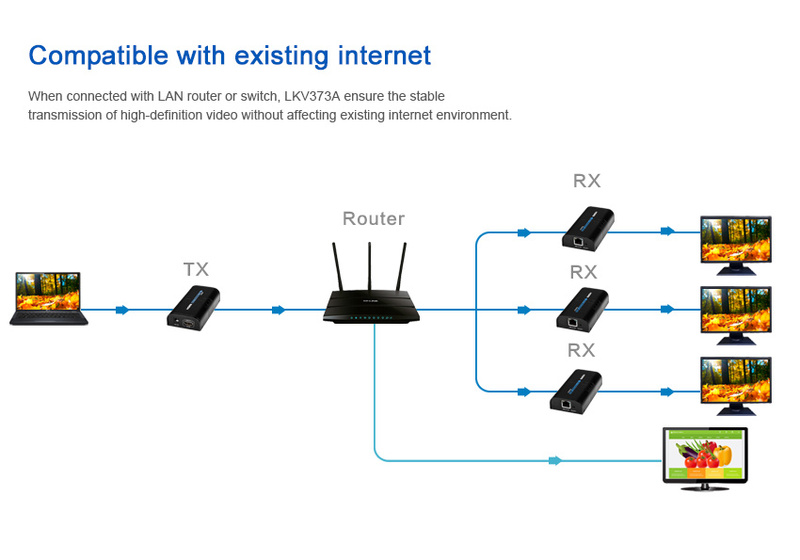 FUNCTIONAL AS EXTENDER &SPLITTER–By connecting your LAN router or switch, 1 SENDER (TX) can connect with multiple receivers(RX), to be used as HDMI splitter, to meet your different installation requirements.